The Wings over Wairarapa Air Festival 2017 will feature, for the first time in New Zealand, the newly formed Royal New Zealand Air Force Black Falcons. The Black Falcons have replaced the former RNZAF display team, the Red Checkers. 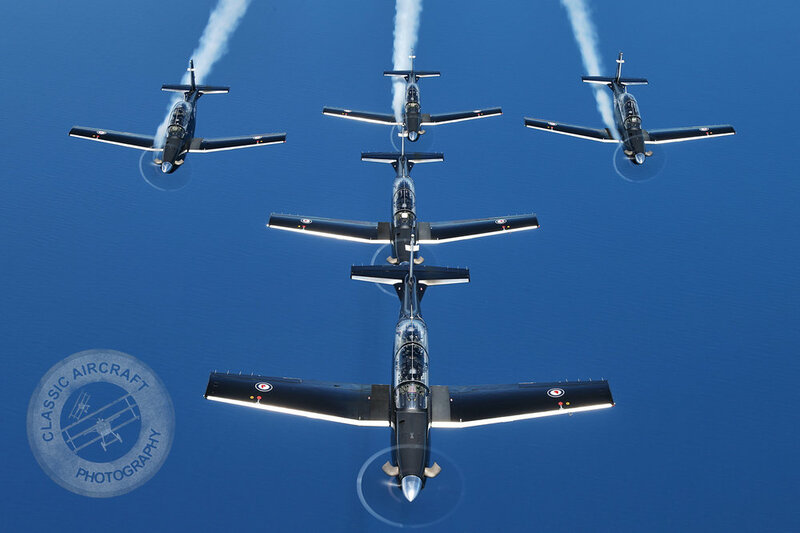 The five T-6C Texan II aircraft, all piloted by experienced RNZAF pilot instructors, will thrill visitors with a 10 minute aerobatic display over Hood Aerodrome. Wings over Wairarapa Chair, Bob Francis says having the debut of the Black Falcons at the Air Festival will be a real highlight for visitors. Squadron Leader Brett Clayton says the Black Falcons are midway through their work up season and are now linking all of the individual pilot flying components into the display.